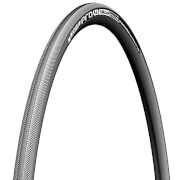 The Michelin Pro 4 Grip Clincher Tyre is designed to offer excellent grip, handling and cycling performance. 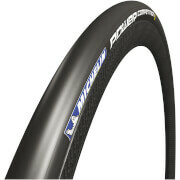 It offers 15% extra grip in wet conditions compared to the Pro 4 Service Course. Pro 4 Grip offers improved drive when pedalling in wet conditions, enhanced leaning grip and better progressivity when leaning the bike in the wet. This tyre features a high level of anti-puncture protection, with protective ply that covers the rolling surface, centre and shoulders to resist cuts. - A.D.
Intended use: Training/Fitness, Touring/Commuting, Commuting. Great fan of the brand Michelin, these winter season tyres are no exception from their total quality in rolling resistence, endurance and long milage life. 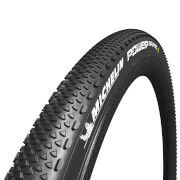 Great grip in wet and cold conditions, test proofing them now on the harsh winter roads of the Balkans! And for that package price this is a no brainer:). Not had these on long but I clock up 125miles a week so far so good fast rolling for winter rubber and the grip in the rain is very very good still able to corner like it was dry almost. As for puncher protection well I'll find out and if I go the next three months with none I'm giving 5 stars.